Show: There was club gaming. Agenda: Officers choice (Kat) will be rescheduled TBD. Overview (Official Description): America - land of freedom. But on its dark streets prowl those who abuse its freedoms, and nowhere is as crime-ridden as New York City. It is the job of the New York Police Department to protect society from the evil on its streets, and this is the tale of New York's finest cops, serving in its toughest district: the 34th Precinct. 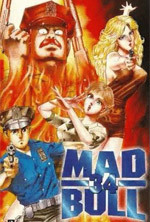 Into this melting pot of crime and corruption comes a raw young recruit named Diazaburo. His new partner is one of the most notorious cops on the force, known to co-workers as Mad Bull due to his ultra-violent form of peace keeping! Agenda: Congratulations to the new officers for Fall 2019-Spring 2020! President: Matt Y., Vice President: Raven, Secretary: Emily, Treasurer: Mitchell. The Monday April 15th, 2019 meeting will be officers choice (Kat). Refer to Monday April 8th, 2019 for show overview. Agenda: Officer Elections for the Fall 2019-Spring 2020 semesters will be on Thursday April 11th, 2019. The Monday April 15th, 2019 meeting will be officers choice (Kat). Overview (Official Description): The future-fantasy world of Remnant is filled with ravenous monsters, treacherous terrain, and more villains than you can shake a sniper-scythe at. 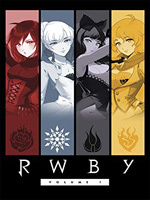 Fortunately, Beacon Academy is training Huntsmen and Huntresses to battle the evils of the world, and Ruby, Weiss, Blake, and Yang are ready for their first day of class. Agenda: Officer Elections for the Fall 2019-Spring 2020 semesters have been moved to Thursday April 11th, 2019. Agenda: Officer Elections for the Fall 2019-Spring 2020 semesters will be on Monday April 15th, 2019. Officer Nominations and debate will be on Thursday April 4th, 2019. 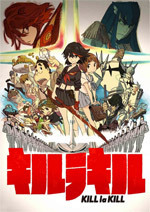 Overview (Official Description): After facing the members of Claw, Mob’s life returns to normal. It’s back to school, back to the body improvement club, and back to...running for student council president?! 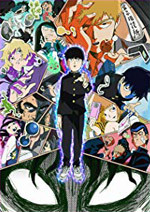 Mob’s friend convinces him to run for the position and things go about as well as expected—as in not well at all. But a love letter in his locker could change that! Can this totally ordinary psychic face his own feelings? Overview (Official Description): The march of technology, embodied in the dark iron forges of the ambitious Tatara clan, threatens the natural forces explicit in the benevolent Great God of the Forest and the wide-eyed, spectral spirits he protects. When Ashitaka, a young warrior from a remote and endangered village clan, kills a ravenous, boar-like monster, he discovers the beast is in fact an infectious "demon god," transformed by human anger. Inflicted with its deadly curse, the young warrior sets out to the forests of the west in search of the cure that will save his life. 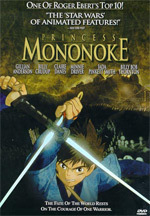 Once there, he becomes inextricably entangled in a bitter battle that matches Lady Eboshi and a proud clan of humans against the forest's animal gods - who are led by the brave Princess Mononoke, a young woman raised by wolves! Agenda: The Thursday March 28th, 2019 meeting will be Ghibli night. Refer to Monday March 18th, 2019 for show overview. Show: The club auction and Penny Wars was held with great success. Agenda: Penny Wars results will be announced on Thursday March 21st, 2019 and the club auction will also occur. Overview (Official Description): 18-year-old Aoba Suzukaze is joining the character design team at the company that makes her favorite video games! But the real world of office culture can be a challenge for a total noob. From her awkward first day to her first game’s debut, she’s got a lot of skills to master. Luckily, her charming determination wins over her quirky coworkers, and before she knows it, Aoba has joined the party! No meetings on Monday March 11th, 2019 & Thursday March 14th, 2019 during Spring Break. Meetings resume on Monday March 18th, 2019. Agenda: There will be no meetings on Monday March 11th, 2019 & Thursday March 14th, 2019 during Spring Break. Meetings resume on Monday March 18th, 2019. Agenda: Original choice of 30-sai no Hoken Taiiku (Health and Physical Education for 30-Year-Olds) could not be finished due to content. 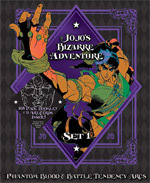 Overview (Official Description): Jonathan Joestar, a young wealthy son living in Victorian England, has his life destroyed by the recently orphaned Dio Brando, who was taken in by Jonathan's father. 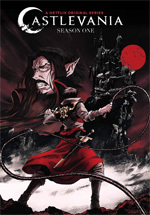 Dio, who plots to drive Jonathan to insanity and inherit the Joestar fortune, becomes an unstoppable vampire that Jonathan must fight. 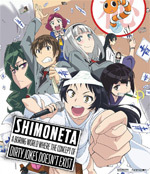 Overview (Official Description): As final exams approach, the psychological war between Kaguya and Shirogane intensifies within the Student Council Office. 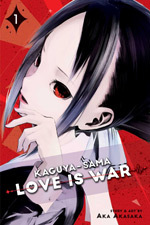 Kaguya is an all-around genius with her pride at stake but she has never been able to surpass Shirogane in academics. On the other hand, Shirogane is a genius through hard work, who won’t allow anyone to take his position at the top of the class. In an attempt to get ahead of the other, the two lie through their teeth and it becomes a battle of finesse. 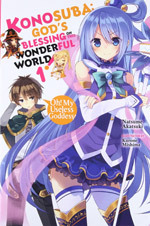 At last, it’s the day of finals, but which of them will the goddess of victory smile upon? Agenda: The Thursday February 28th, 2019 meeting will be Romance night. Agenda: The Monday February 25th, 2019 meeting will be an activities meeting and Thursday February 28th, 2019 will be Romance night. Overview (Official Description): Nadeshiko, a high school student who had moved from Shizuoka to Yamanashi, decides to see the famous, 1000 yen-bill-featured Mount Fuji. Even though she manages to bike all the way to Motosu, she's forced to turn back because of worsening weather. Unable to set her eyes on her goal, she faints partway to her destination. When she wakes up, it's night, in a place she's never been before, with no way of knowing how to get home. 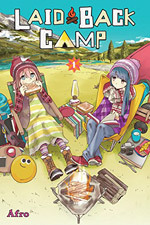 Nadeshiko is saved when she encounters Rin, a girl who is out camping by herself. This outdoorsy girls story begins with this first encounter between Nadeshiko and Rin. Agenda: Valentine’s Day meeting with the playing of the visual novel Monster Prom. The Monday February 18th, 2019 meeting will be officers choice (Mitchell). Show: An non-anime game playing occured as allowed by the special rules for this meeting. Agenda: Our Valentine’s Day meeting will be on February 14th, 2019 and will be a visual novel night with the playing of Monster Prom. The Monday February 18th, 2019 meeting will be officers choice (Mitchell). Agenda: Our Valentine’s Day meeting will be on February 14th, 2019 and will be a visual novel night with the playing of Monster Prom. Agenda: The Thursday February 7th, 2019 meeting will be an activities meeting. Overview (Official Description): Trevor Belmont, embittered and excommunicated, finds himself drawn into a battle for the survival of Europe - a region that has brought doom upon itself by taking away the one thing its greatest monster loved. The Thursday January 31st, 2019 meeting has been cancelled due to the closure of Bloomsburg University because of extreme cold. Activity night will be rescheduled to another date. Agenda: The Thursday January 31st, 2019 meeting will be Mech/Military night. Agenda: First regular meeting of the semester. The Monday January 28th, 2019 meeting will be a Pizza night and Thursday January 31st, 2019 will be Mech/Military night.